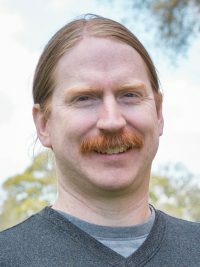 Dr. Townsley is a theoretical astrophysicist whose research interests lie in refining stellar physics via its application to novel and dynamic astrophysical systems. More specifically, he studies white dwarf stellar remnants accreting mass from a companion in close stellar binaries. Dr. Townsley has calculated the white dwarf’s thermal state and seismological characteristics and is currently utilizing these in tandem with observational measurements to derive general properties of the compact stellar binary population. He also uses hydrodynamic simulations to study the explosive nuclear events which occur in accreting white dwarf binaries, including surface runaways (Classical Novae) and thermonuclear supernovae (Type Ia). Type Ia Supernovae are one of the premier probes of the expansion history of the universe. Dr. Townsley is working to better understand their origin in mass transferring binaries and how the properties of the binary are related to properties of the explosion outcome observed. Dr. Townsley received his doctoral degree from the University of California, Santa Barbara in 2004. He was a Bart J. Bok Fellow at Steward Observatory, of the Department of Astronomy at the University of Arizona, from 2008-2009. Dr. Townsley joined the faculty of The University of Alabama in 2010.